Kent, Kathleen. (2013). The Outcasts. Little, Brown and Company; New York. 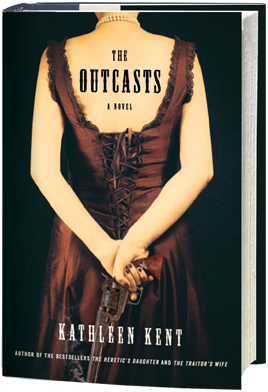 I have not come across many Western novels that I find particularly thought-provoking, but Kathleen Kent’s novel The Outcasts was one of the most moving and thoughtful books I had the pleasure of reading in 2013. Image rights to Amazon 2013. Set in Texas in the 1870s, the novel switches between the story of Lucinda Carter and Nate Cannon (Amazon Review). A compelling and rich storyline brings the reader from a Fort Worth brothel to a Middle Bayou schoolhouse, complete with exciting manhunt and the search for hidden treasure (Kent, 2013). Throughout the novel the fragility of human nature – in the form of Lucinda’s frequent breakdowns – sheds light on the nuances of ‘good’ versus ‘bad’ morals. I applauded the brave but struggling Lucinda and had mixed feelings about the law enforcement tactics of Nate’s companions. This was one of those books that I couldn’t stand to put down, and I would strongly encourage you to add it to your list of to-read novels for 2014.